Yinchuan, China, 2019-Feb-02 — /Travel PR News/ — Mr. Daniel Herrmann, who originates from Germany, has accumulated considerable experience within the Hospitality industries alike. He started his more than 12 years career at the Kempinski Hotel Frankfurt where he as well completed his Hospitality Management Degree. As a passionate Kempinski hotelier he worked at the Emirates Palace Abu Dhabi, Kempinski Hotel & Residences Palm Jumeirah Dubai, Kempinski Hotel Bristol Berlin, Kempinski Residence & Suites in Doha and the most recent assignment as Director of Food & Beverage at the Kempinski Hotel Beijing Lufthansa Center. After many years working in hotels around the world, he can utilize the wealth of knowledge he has acquired to continue the development and coaching of his coworkers, facilitating career development while striving to further quality of service in the hotel and promoting the brand value in order to provide an even more enjoyable experience for the Kempinski Hotel Yinchuan guests. 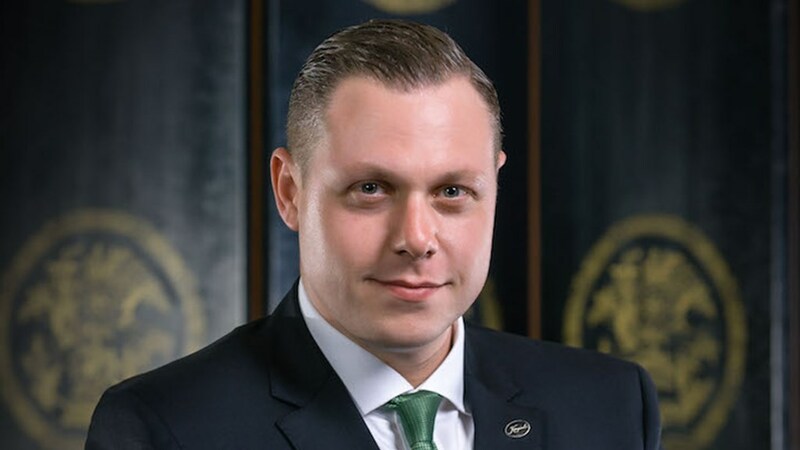 Please join us in congratulating Daniel Herrmann on his new position at the Kempinski Hotel Yinchuan and wishing him the best of success. Kempinski Hotel Yinchuan is located in the heart of the city’s central business district, with a 30-minute drive from the Hedong International Airport. The hotel is adjacent to the International Conference and Exhibition Centre, the museum of Ningxia and People’s Square. Kempinski Hotel Yinchuan is ideal for both business and leisure travellers. The adjacent brand opening Master International Business Centre offers high-end office space was specially designed to meet the standards of the global enterprise. Created in 1897, Kempinski Hotels is Europe’s oldest luxury hotel group. Kempinski’s rich heritage of impeccable personal service and superb hospitality is complemented by the exclusivity and individuality of its properties. Kempinski now manages a portfolio of 76five-star hotels and residences in 35countries and continues to add new properties in Europe, the Middle East, Africa, Asia and the Americas. Each one reflects the strength and success of the Kempinski brand without losing sight of its heritage. The portfolio comprises historic landmark properties, award-winning urban lifestyle hotels, outstanding resorts and prestigious residences. Each one is imbued with the quality guests have come to expect from Kempinski while embracing the cultural traditions of its location. Kempinski is a founding member of the Global Hotel Alliance (GHA), the world’s largest alliance of independent hotel brands. This entry was posted in Business, Hospitality, Hotels, Luxury, Travel, Travel Management, Travel Services, Travelers and tagged appointment, China, Daniel Herrmann, hotel, Kempinski Hotel, Yinchuan. Bookmark the permalink.